Android Auto Wireless may now be arriving on select phones and head-units, but iPhone owners wanting wireless CarPlay don’t have to wait – it’s available now. While there’s plenty to like about the 2018 BMW 220d, not least its 3.0-liter turbodiesel with 140 kW and 400 Nm engine, I had one particular spec in mind for testing. With iPhone X supporting wireless charging, and CarPlay wireless available in a growing number of vehicles, is it worth spending more on the option if you’re buying a new car? CarPlay has been around since iOS 7.1, but it’s only with the arrival of iOS 9 that wireless support was added. Still, the theory remains the same. To encourage you to leave your distracting phone out of your hand, CarPlay offers the basics drivers might need – calls, messages, Siri, and music being the main features – in an interface specially designed to be easy (and safer) to use while simultaneously driving. Setup is straightforward, though different to how CarPlay works in wired configurations. Plugging in an iPhone X, the 220d defaults to playing music over the USB cable, rather than offering me the usual option to load Apple’s infotainment interface. To get that, you have to go to Manage Devices in the iDrive menus, and then search for the car’s Bluetooth connection on your iPhone. That Bluetooth link is only half of what CarPlay actually uses, mind. 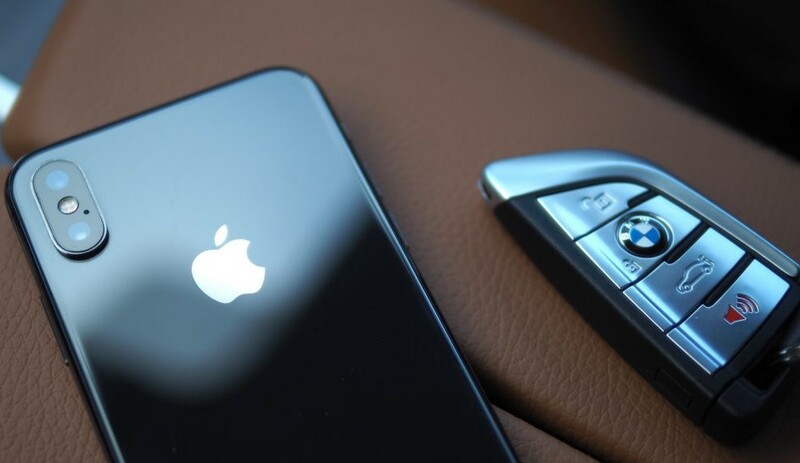 It’s also setting up a WiFi connection between the iPhone and the BMW. That presents a problem if you want to use the WiFi hotspot feature that the car supports, tapping into its own 4G LTE connection. Considering cars generally have stronger cellular antennas than phones do, there were times that the 220d had a signal while my iPhone X on Vodacom did not – especially as one nears Parys. Unfortunately, trying to connect to the car’s WiFi left CarPlay unable to load up. The whole thing can be fairly fussy, in fact, about saved devices. At one point I had three entries for the same iPhone: it seemed the car created separate profiles for USB, CarPlay over Bluetooth and WiFi, and the iPhone X as a WiFi client. Once you’ve configured CarPlay wirelessly, the 220d isn’t especially keen on you plugging your iPhone in. The few times I struggled with re-connection was when I’d first plugged in the Lightning cable too – generally out of habit from using CarPlay in other cars. It didn’t prompt errors every time, but sometimes it would default to playing music over USB and time-out when trying to load the CarPlay interface. Since CarPlay’s aspect ratio is narrower than BMW’s wide-aspect screen, you get a side-panel that can be reconfigured with a handful of options. That includes a map from the 220d’s own navigation system, the latest economy data, weather reports pulled down over the car’s cellular connection, and even photos from a linked Flckr album. Sadly the rest of BMW’s displays aren’t quite so welcoming. Though the 220d has a fully digital instrument cluster, reconfigurable depending on which drive mode you’re in, CarPlay is limited to the touchscreen atop the dashboard. The optional head-up display (HUD) can show the current song playing when you use the track-skip scroll wheel on the steering wheel, but unlike using a USB device directly it can’t preview what track would be next if you skip ahead or back in the playlist. It’s one of a number of minor frustrations that have lingered since CarPlay’s debut a couple of years back. Another is the fact that the car can only show what app the iPhone is currently displaying: if you have Spotify or Apple Maps on the dashboard screen, for instance, but then open a different app on your iPhone, CarPlay will switch away. Every time it happened it served as a reminder that the car companies and Apple still aren’t quite joining up all the dots they could. 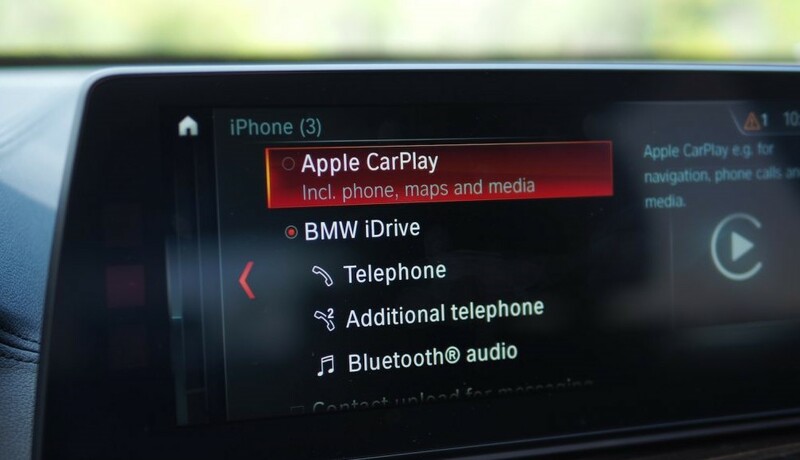 All the same, there’s plenty to like about CarPlay, and BMW’s implementation of it in the 220d. The initial scorn that Apple Maps received is a lot less valid today, the company having worked hard to smooth away many of the rough edges in its navigation software. I’d still, if I’m honest, rather have Google Maps or, better still, Waze, but Apple Maps isn’t the frustrating mess it started out as. Liberated from a cable, meanwhile, I found I used CarPlay more consistently. On short trips in vehicles with Apple’s interface, I’d found I’d often not bother to plug the iPhone in – only to decide differently partway through, and then fumble to connect the two. With CarPlay wireless, that responsibility was taken from me: just getting in the car and starting it up was enough to re-establish the connection. That’s the case even if someone else was using the USB cord, too. While streaming music from another iPhone over USB, CarPlay from my own iPhone X unexpectedly popped up when a notification in Messages arrived. When I dismissed it, CarPlay too disappeared again and returned the display to iDrive’s native media interface. The biggest drawback, mind, is price. In the case of the 2017 220d, the starting sticker of R530 000 excludes wireless charging and CarPlay. That’s a sub R5 000 option. The iPhone X mentioned in this feature was provided by iStore.